With his superlative technique, musicality and insightfulness, Makoto Yoshida has established himself as one of the most gifted musician of the young generation, and continues to perform in the double role of soloist and conductor known for the extreme variety of his repertoire. Born in Hyogo, Japan in 1987, Makoto began the Piano at the age of 5. 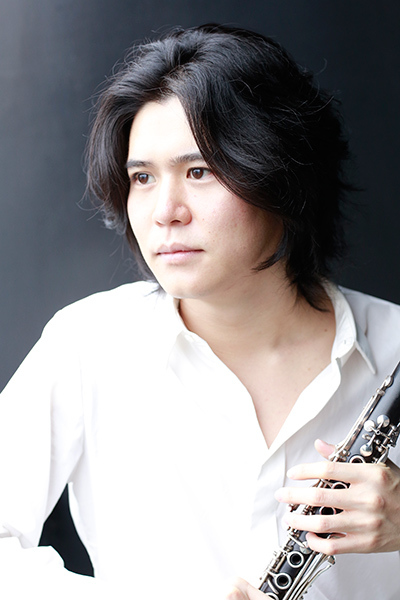 He made his Clarinet solo debut with the Osaka Philharmonic Orchestra under Eiji Oue at the age of 15 in the performance televised nationally on NHK, only three years after picking up the instrument. After entered Tokyo University of the Arts, Makoto entered at the Conservatoire National Supérieur de Musique de et de danse de Paris upon the unanimous recommendation of the panel of judges, receiving a scholarship from the Agency of Cultural Affairs as part of the Japanese Government’s Overseas Study Program for Artists, having studied under Michel Arrignon and Pascal Moragues, at the Haute école de musique de Genève under Romain Guyot, as well as studying under Koichi Hamanaka, Yuji Murai, Masaharu Yamamoto, Florent Héau and Michel Lethiec. He studied conducting under Seiji Ozawa and Yuji Yuasa. He went on to capture numerous honors including 1st Prize at the 9th Kobe International Music Competition, Grand Prize at the 9th Matsukata Hall Music Prize, 3rd Prize at the International Clarinet Association High School Competition, and finalist at the Torino International Music Competition, 1st Prize and Audience Prize in the 5th Tokyo International Music Competition and 2nd Prize in the Japan Wind and Percussion Competition. He has appeared with many Japanese symphony orchestras including Tokyo Symphony, Tokyo Philharmonic, Japan Philharmonic and Tokyo Metropolitan Symphony etc. He has given recitals in Japan, France, Italy, and China and gaining high critical acclaim, and has also appeared in many festivals in the world, such as Saito Kinen Festival(Seiji Ozawa Matsumoto Fesitval), La Folle Journée au Japon, Lucerne Festival ARKNOVA, Kobe International Music Festival etc. Makoto frequently appears in TV programs and national newspaper/magazines and attracts the audience. Makoto Yoshida currently living in Amsterdam and Tokyo.